Room 23 have created their own website as a music artist. 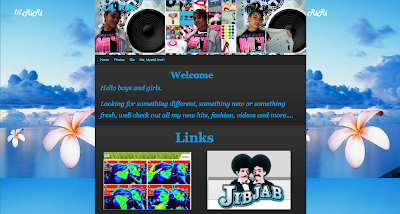 The website design was our music authentic challenge. We created our own website on Weebly and Webs. Most websites were sent to the Net Guide Schools Multimedia Challenge. Create a music website to promote yourself as a recording artist.